I don't have a good blog post for today, I promise a decent one tomorrow. Strength: I pulled out a 285 and I think I can get 300 but ran out of time. 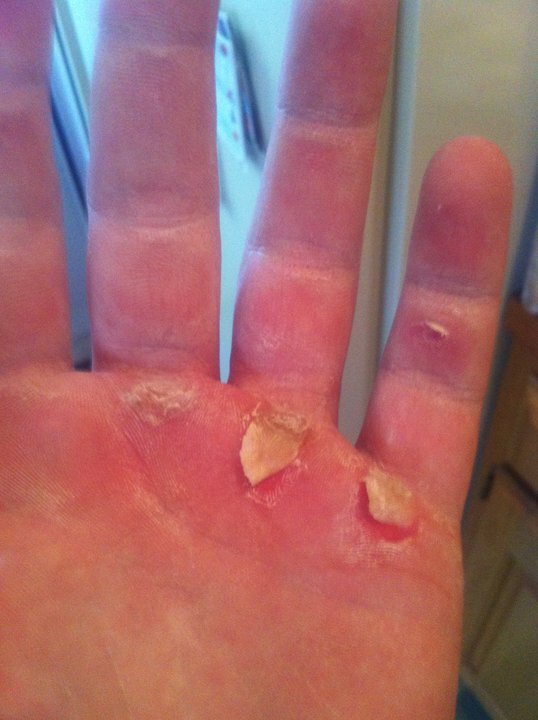 This is what 100 pull-ups will do to your hand. I am proud to say that I am getting really good with my Kipping Pull-Ups. I think I can get 20 in a row..I will try next workout (Sunday) to get to 20 in a row. I do think I can dead lift 300 lbs, but did not want to try unsupervised today as the dead life has a high potential for injury if done wrong.